Guess who’s back? Yes, it’s me. 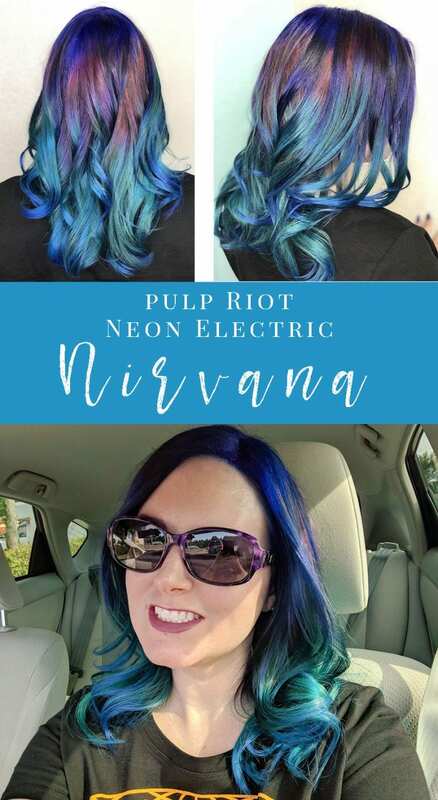 I wanted to share my new Pulp Riot Neon Electric Nirvana Hair with you. I went to get my hair done yesterday at iStyle by Cliff. Here’s a refresher on what my hair last looked like. This was actually the look & outfit that I wore to my Grandma’s wake (the memorial service). I didn’t bother with eye makeup or mascara because I knew I’d be crying most of the day. 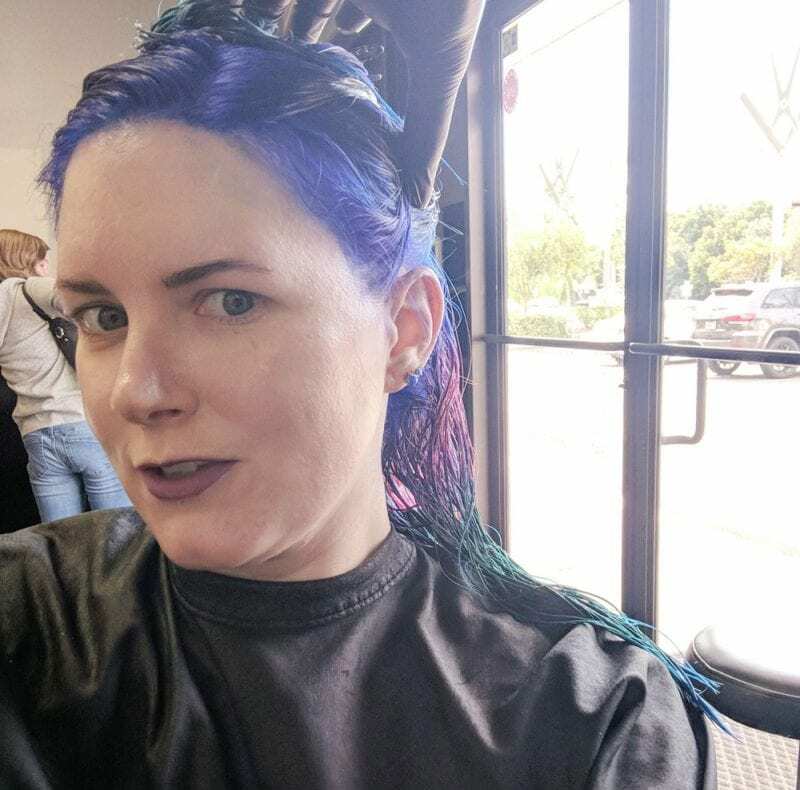 Now, the last time I was at the hair salon was around mid-January when we did Pravana Galaxy Hair. As you know, I’ve been swamped this year. 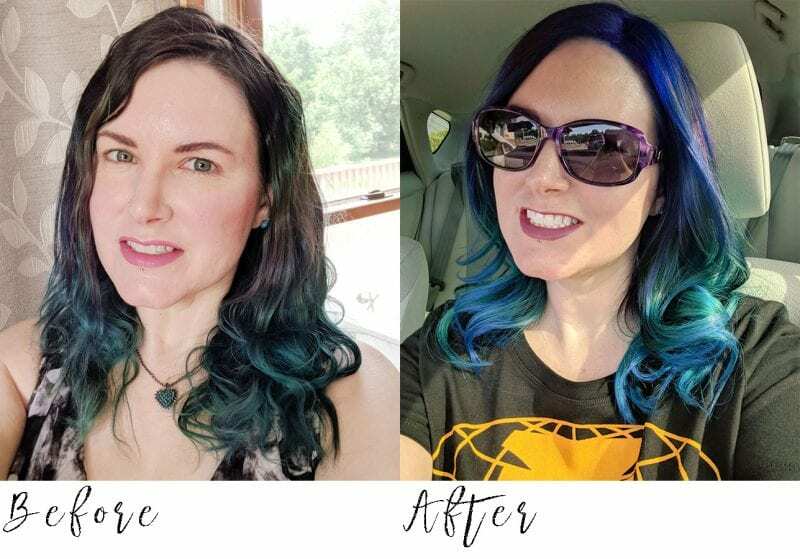 Between getting my old home ready to sell, buying a new home, and things with work, it had been around 5 months since I was at the salon. I rarely am such a slacker, as I like to keep my ends trimmed. 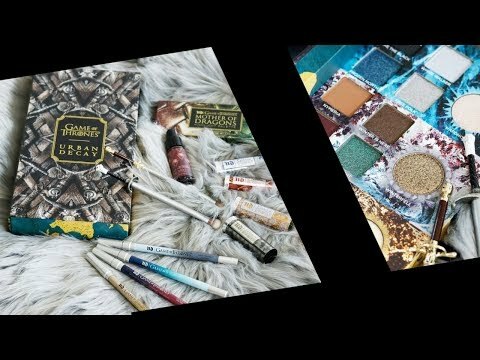 You may want to watch my Home Tour here. 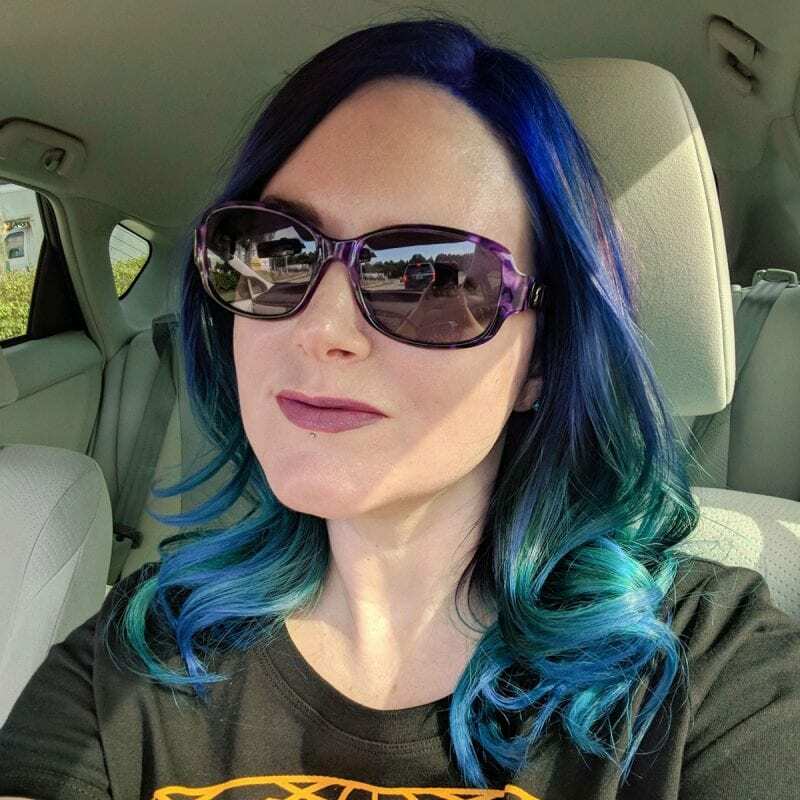 Before we begin any color on my hair, Cliff always removes as much of my previous color as possible to see what direction we can take my hair. In this case, we also lightened my roots because I wanted to go brighter. My virgin hair (aka near the roots), lightened up with ease. 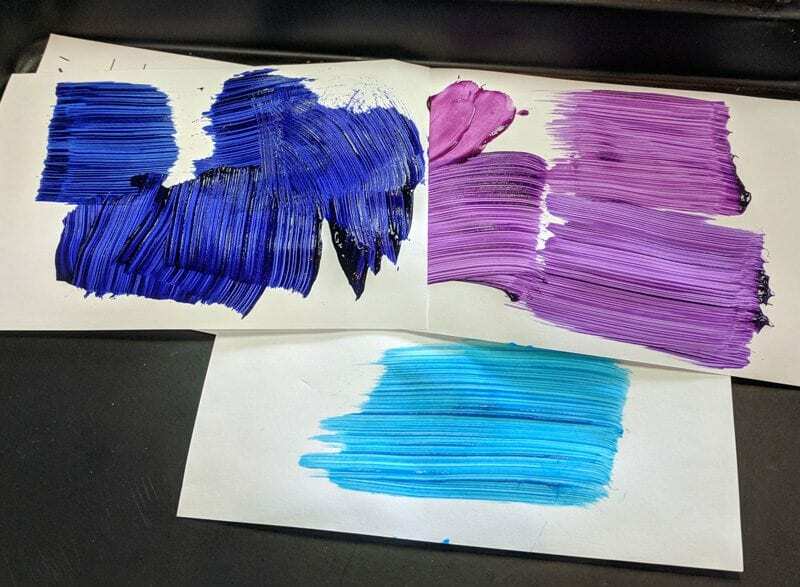 All the purple came out, and some of the blue came out. 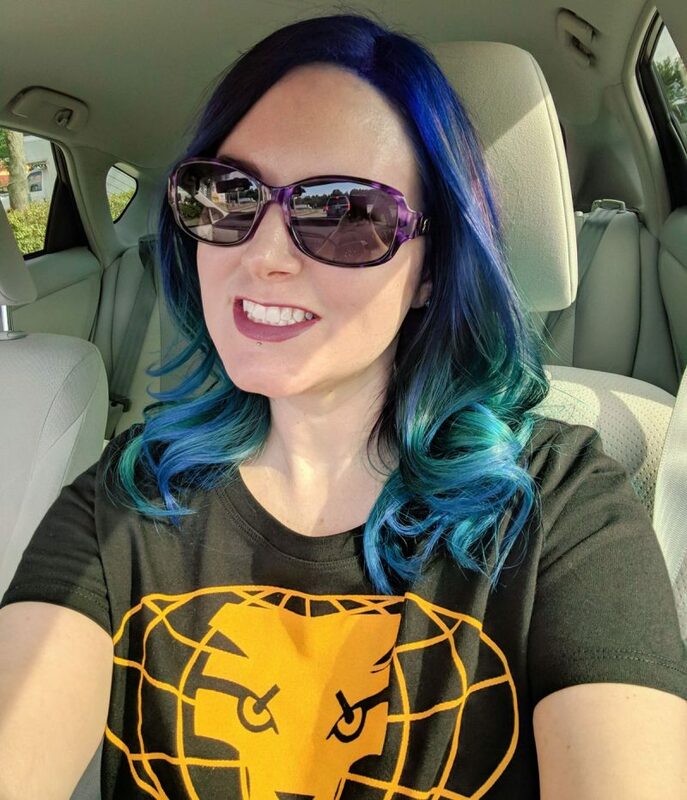 The photo above isn’t the best representation of how the color looked, as it was lighter, less yellow and less blue toned. 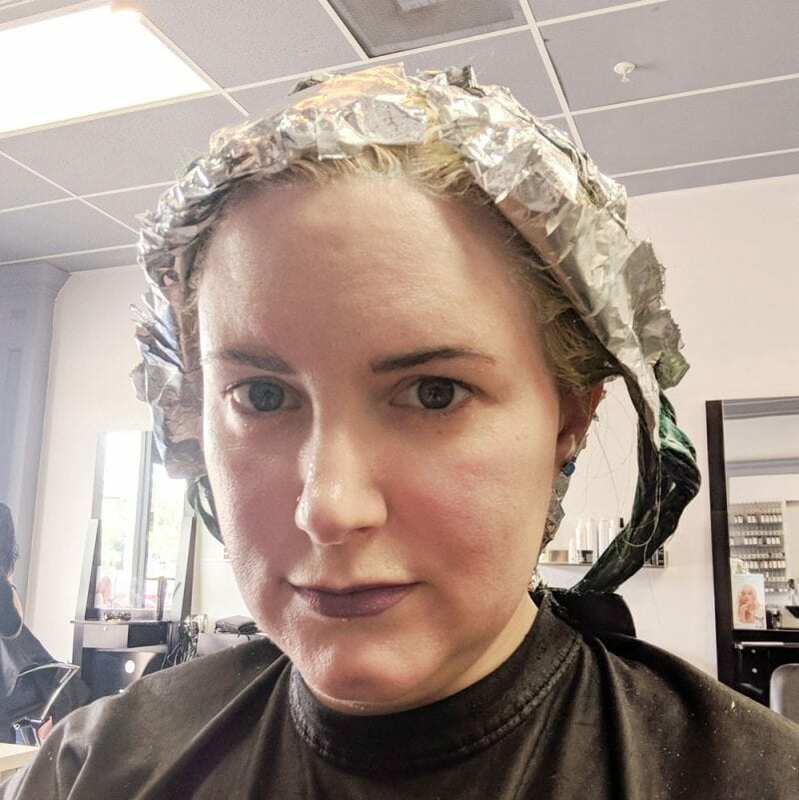 I should mention that I always do a deep conditioning treatment after we lighten my hair to help with the integrity of the hair. 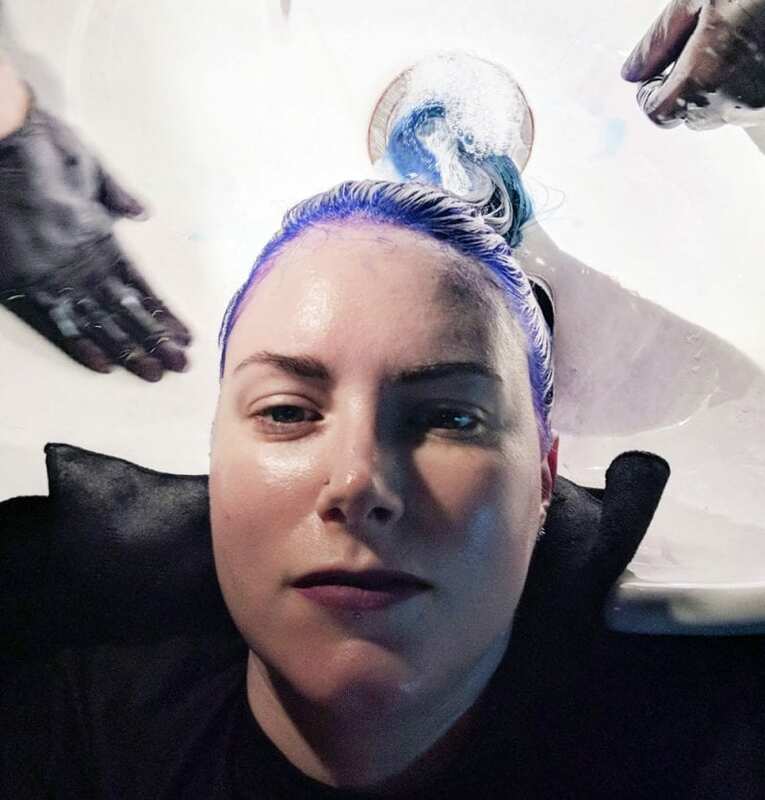 Next we put together our color story for my Pulp Riot Neon Electric Nirvana Hair. The bottom swatch is Pulp Riot Neon Electric Nirvana. 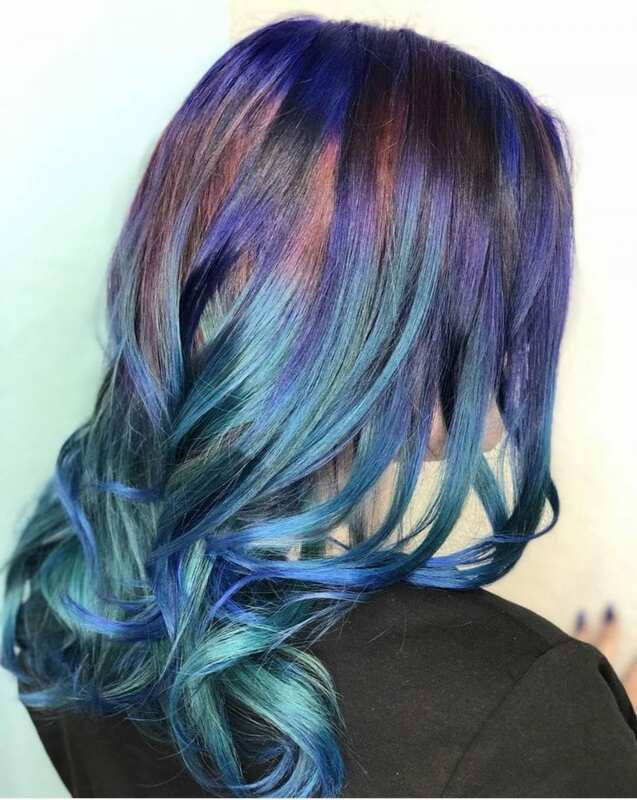 The top left is Pravana Vivids Violet mixed with Vivids Blue to create an intense, deep but bright root. The right swatches are Pravana Vivids Wild Orchid and Pulp Riot Velvet (I think?). 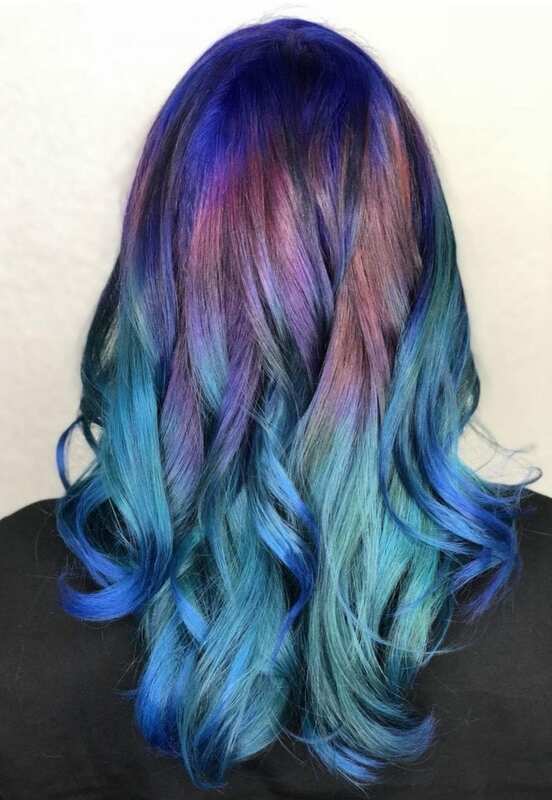 We ended up not using Pulp Right Velvet, and instead used Pravana Wild Orchid. I’ve got the Pulp Riot Neon Electric Nirvana Hair dye in my hair and I’m waiting for it to sink in. 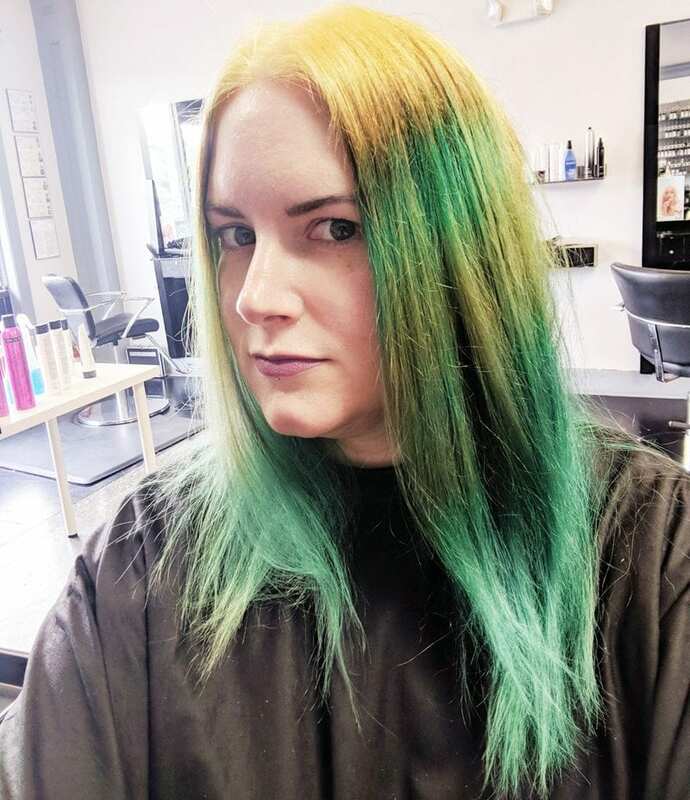 Next we wash the Pulp Riot Neon Electric Nirvana dye out of my hair. 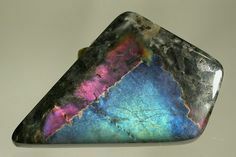 Even when it’s wet you can see the 3 different sections of color. 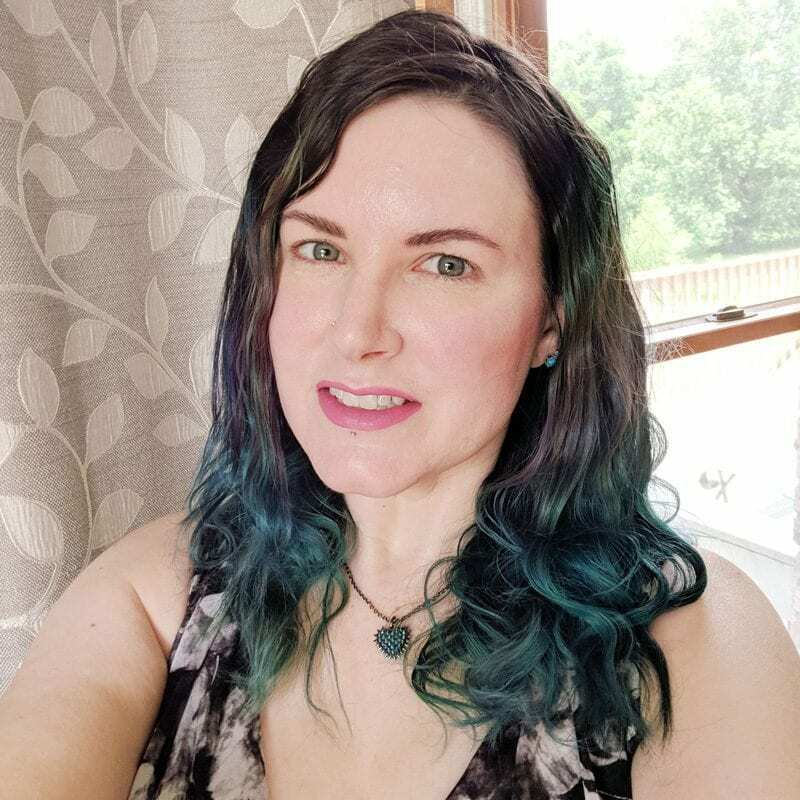 Pravana Vivids Wild Orchid really pulls out the purple tones in my lipstick. Here’s what it looks like when it’s dry, right before we styled it. And here’s what it looks like after Cliff styled it. 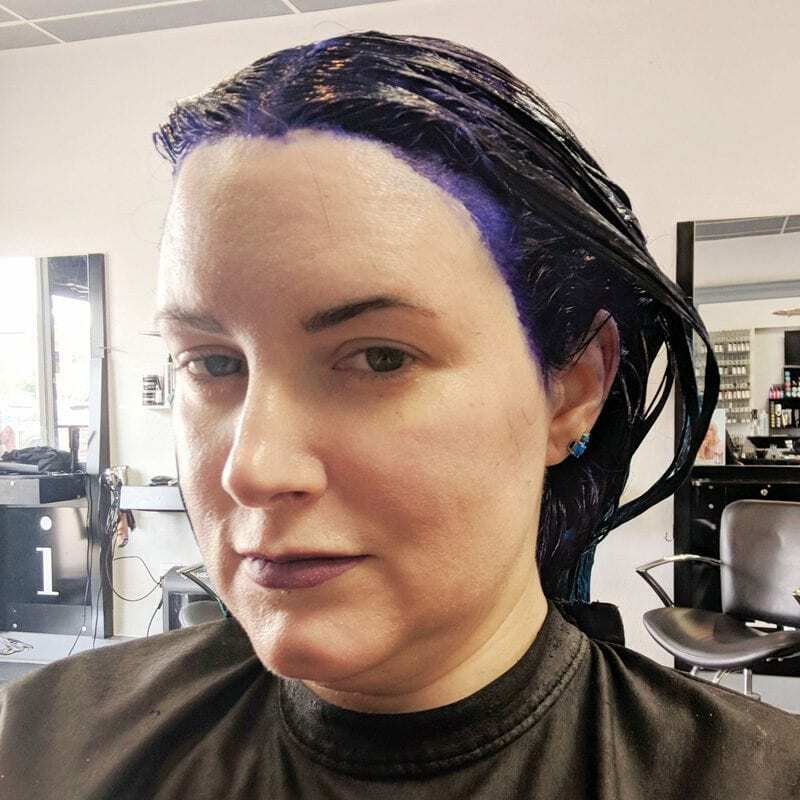 I am really disappointed with how Pravana Wild Orchid looks in my hair, so I will probably throw some Pulp Riot Velvet or Jam into that middle section of hair. It just looks so dusty and dull in comparison to the roots and the Pulp Riot Neon Electric Nirvana elsewhere. 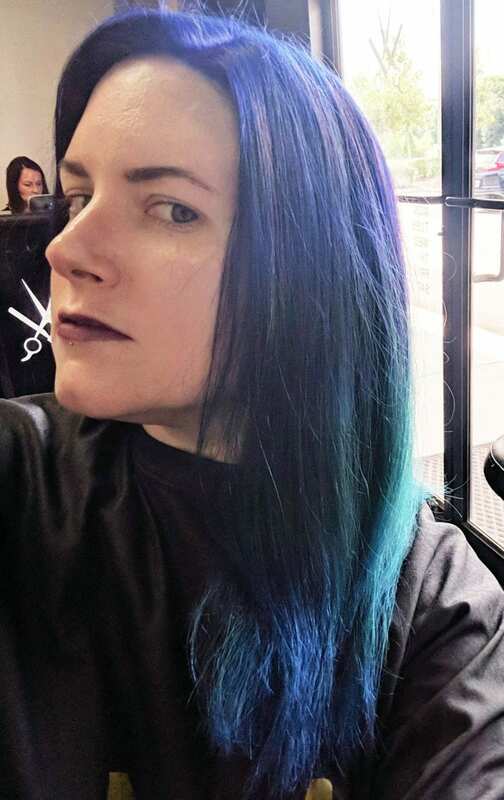 I’m pretty sure the darker tips are from rinsing out the Pravana Vivids Violet + Blue mix. However, I love how they look. The above 3 photos were taken by Cliff, my hair stylist. If you’re in Tampa, you should go see Cliff at iStyle. He does a beautiful job with hair. 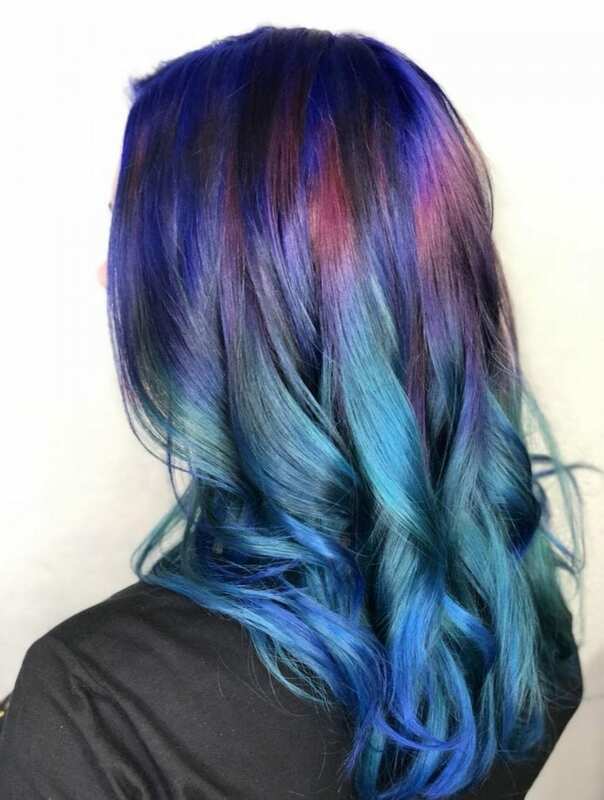 In case you don’t know, the Pulp Riot Neon Electric line is a line of vibrant semi-permanent colors that claim to apply easily, are more vibrant, last longer and fade better than other hair dyes. In addition to that, they’re UV reactive. I’m really curious to see how Nirvana lasts on my hair. I do love how my hair looks. It’s a nice change from my previous hair. I got home from Indiana Wednesday afternoon. Yesterday (Thursday) was my first full day back in Florida. I got a little bit of stuff done for work and spent a lot of time getting my hair done. I arrived at the salon at 1pm and Cliff finished my hair around 5:35pm. It was a pretty quick salon day because sometimes I’ve been there 6 or more hours. Friends, right now I’m struggling. I can’t make it through the day without crying. It’s hard to smile. The death of my Grandmother (who was like a mother to me and helped raise me) is very hard for me to handle. When I think I can make it through it, I’ll be shooting a video to talk to you about what went on for the past two weeks. Anyway, let me know what you think of my Pulp Riot Neon Electric Nirvana Hair. Previous articleWhat do you think of the metallic lip trend? I am so sorry for your loss – I hope you are being gentle with yourself, and giving yourself all the time you need. Loss is never easy, there’s no way to speed it up – not should there be. We all love you and will be here. PS – your hair is exactly what I want, but I am not sure I could keep up with root touch-ups – maybe you’ll explain all that sometime. You are loved, and your Grandmother did a terrific job raising an amazing woman. She lives on in you. I’m sorry about your grandmother. I know that’s a really hard time so I hope you take care of yourself and let others take care of you through it. My heart goes out to you and I completely understand the depth of your grief. My Mom died April 7th and I cry every day. Please know that you’re in my thoughts. I’m so sorry for your loss. It’s so hard.